Quilted Blazer Shiny Black. This black quilted blazer by Glimms is the essential black jacket with a quilted twist. Featuring shiny black fabric with all-over stitched pattern in geometric shapes. Constructed with side welt pockets, single front button closure, and left breast pocket. Quilted blazer includes fully-lined interior with three paisley pockets and a set of three replacement buttons. Designed with non-adjustable cuffs with 4-button accent. 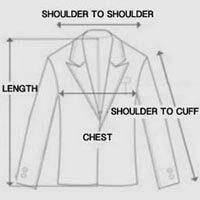 Versatile slim-fit jacket that can be dressed up with suiting accessories or dressed down with jeans. Make every suit aficionado jealous in the comfort of our black quilted blazer.